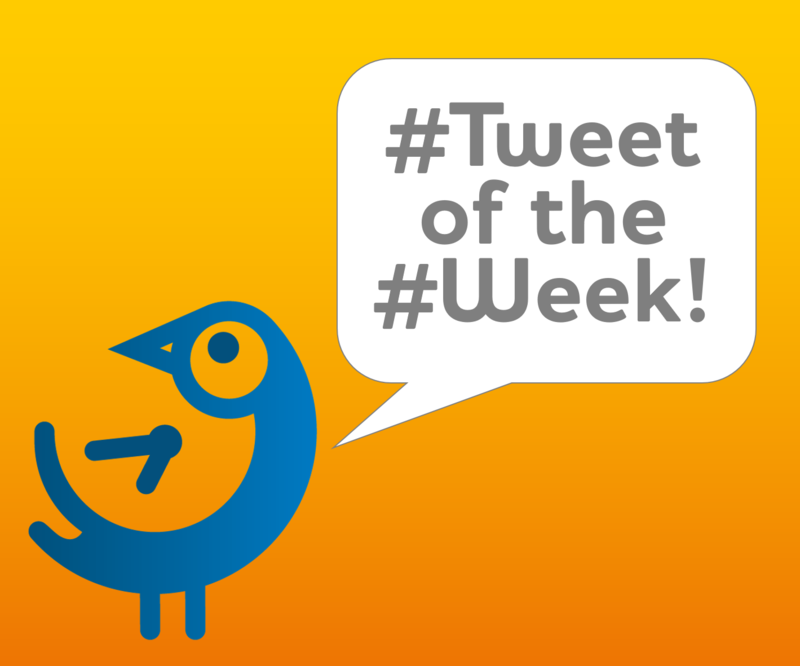 It should probably come as no great shock to discover that this week’s Tweet of the Week regards the latest US Non-Farm Payroll report. Issued by the United States Department of Labor last Friday (4 August), the report gave investors the clearest view of the current state of the US labour market. 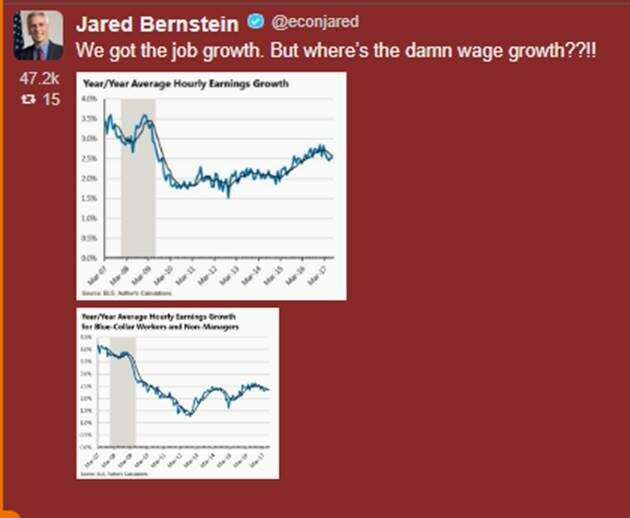 The winning Tweet is from former White House Chief Economist and Economic Advisor, Jared Bernstein (@econjared), who observes that wage growth clearly didn’t get the memo about job growth, and backs up his point with some compelling statistics. There is a view that stagnant wage levels could be a contributing factor to job growth – potentially, lower wage bills mean employers can afford to hire more staff, which would have a positive effect on employment numbers. Why is NFP so important? Well, better than expected job growth demonstrates a stronger than expected US economy. This in turn boosts commodities, risk appetite and has a driving effect on the dollar index. And that’s exactly what happened – following a tough few weeks, the dollar regained some of its losses because of the data. Actual intraday moves following the release saw the dollar index rally nearly 1%, to a high 93.744 before easing slightly into the weekend. 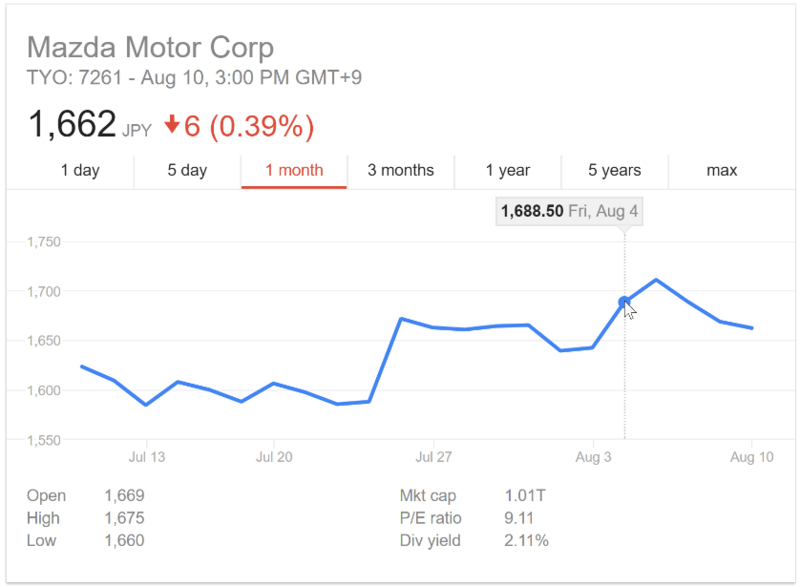 The graph below shows what happened to Mazda’s share price on the day the Tweet was posted (Friday, 4 August). The stock rose to a high 1,711.50 JPY on Aug 7, before lowering to 1,662.50 a few days later.